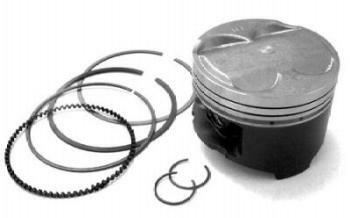 RS Machine Dome Pistons UNIVERSAL - Lightning Motorsports - Selling Speed since 1996 ! RS-SPEC84MM For B20-VTEC, compression will change depending on head, gasket thickness, and how much, if any ,material has been removed from head or deck. High compression pistons for street/strip. Use mostly for all motor applications.